"Are you feeling this?!" A24 has unveiled the first official trailer for the film Good Time, from directors Josh Safdie and Benny Safdie, the brothers behind the films Heaven Knows What and Daddy Longlegs. This film is debuting at the Cannes Film Festival, which kicks off this week, which is also why this trailer is being released to connect to the upcoming premiere in France at the festival. Robert Pattinson stars as "Connie", a wild kid in New York who gets even deeper into the crime world in an effort to get his brother out of jail. This trailer does a nice job of introducing the story and setting up everything, so dive right in. Also starring Jennifer Jason Leigh, Barkhad Abdi, & Benny Safdie (as Connie's brother). This looks like it has an exceptional performance from Pattinson, so at least there's that to look out for in here. Enjoy. After a botched bank robbery lands his younger brother in prison, Constantine "Connie" Nikas (Robert Pattinson) embarks on a twisted odyssey through the city's underworld in an increasingly desperate — and dangerous — attempt to get his brother Nick (Benny Safdie) out of jail. Over the course of one adrenalized night, Connie finds himself racing against the clock to save his brother and himself, knowing both their lives hang in the balance. 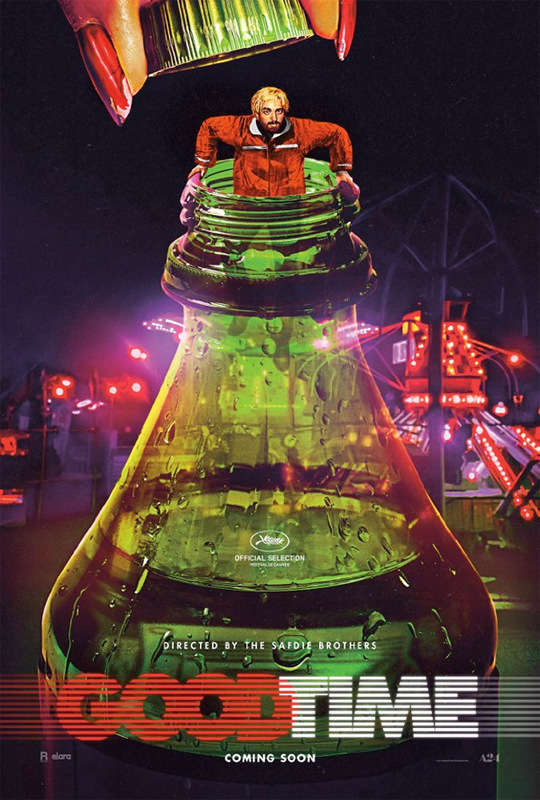 Good Time is co-directed by filmmaking brothers Josh Safdie and Benny Safdie, of the films Heaven Knows What and Go Get Some Rosemary previously. The screenplay is written by Josh Safdie and Ronald Bronstein. This film is premiering at the Cannes Film Festival this month in competition. A24 will then release Good Time in select theaters starting August 11th later this summer.